With the return of the iconic Monaco track and new races in Sanya and Riyadh the ABB FIA Formula E 2018/2019 promises to be an exciting one. Hello New York, New York. From Wall Street’s skyscrapers to the neon of Times Square to Central Park’s leafy paths, New York City pulses with an irrepressible energy. History meets hipness in this global centre of entertainment, fashion, media, and finance. Following the success of the inaugural New York City E-Prix in season three, the Big Apple has remained on the calendar and now hosts the season finale double-header. The essential European city to visit right now for fashion, art, design and music, perhaps the best vantage point to take in the ‘eternally unfinished’ Berlin is from the glass-roofed Reichstag. But remember to get a feel for life in old East Berlin in the DDR museum and walk the Berlin Wall at the East Side Gallery. Getting around by bike is easy – from the market stalls in Mauer Park to the boutiques of North Mitte. Eat like the locals and try a bratwurst while watching the local football team, Herta BSC, at the Olympic Stadium in Charlottenberg. Squeezed into 200 hectares, Monaco is the world’s second-smallest country, with only the Vatican being smaller. However, what the country lacks in size it makes up for in lifestyle. Since the early 20th century it has attracted high-rollers and hedonists – renowned as one of world’s most notorious tax havens it is the home to some of the world’s richest people. World-famous Monte Carlo is dominated by high-rise hotels, super yachts and apartment block that rise into the hills. Conversely, Le Rocher, on the south side of the port, is crowned by a charming old town and is the home to the principality’s royal palace. Made famous for street racing in Formula One, Monaco returns to the Formula E calendar in season five. 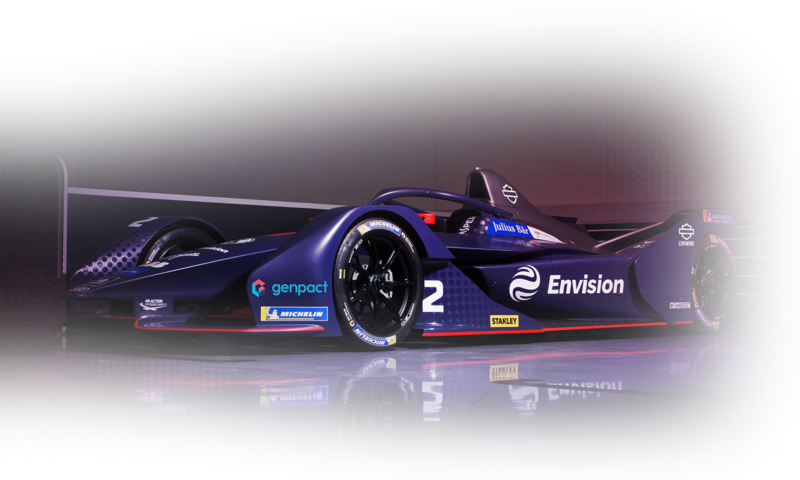 The City of Light joined Formula E in season two utilising the stunning backdrop of the Eiffel Tower. Paris has a timeless familiarity for first-time and frequent visitors, with instantly recognisable architectural icons, along with exquisite cuisine, chic boutiques and priceless artistic treasures. Parisians are synonymous with style, and fashion shopping is the city’s forte and browsing emerging and established designer boutiques and flagship haute couture houses is a quintessential part of any visit. Famed for its architecture, Paris boasts one of the most iconic skylines in the world, from the Arc de Triomphe to the Notre Dame cathedral, this city has it all. Dining in France has a reputation that precedes itself, whether you seek a cosy bistro or Michelin-starred restaurant, every establishment prides itself on the food and preparation. Rome will host its second E-Prix amongst a mix of haunting ruins, awe-inspiring art and vibrant street life. Ancient icons such as the Colosseum, Roman Forum and Pantheon recall the city’s golden age as caput mundi (capital of the world), while its many monumental basilicas testify to its historical role as seat of the Catholic Church. Ancient statues adorn world-class museums; Byzantine mosaics and Renaissance frescoes dazzle in the city’s art-rich churches; baroque facades flank medieval piazzas. A trip to Rome is as much about lapping up the dolce vita lifestyle as gorging on art and culture. Eating out is one of Rome’s great pleasures and the combination of romantic alfresco settings and the superlative food is a guarantee of good times. Season five marks the return to mainland China for Formula E, with a race through the streets of Sanya. China’s premier beach community claims to be the ‘Hawaii of China’; the modern, hyper-developed resort city is increasingly becoming a popular destination for Chinese families. The city boasts a 40km coastline and is made up of three distinct zones, for tourism, mainland holidaymakers and Western travellers. Exclusive Yalong Bay, is just 15km east of Sanya and boast a first-rate beach alongside a line of plush international resorts. Hong Kong is an enormously vibrant city, and a major gateway to China. At the south-eastern tip of China, Hong Kong covers Hong Kong Island, Lantau Island, the Kowloon Peninsula and the New Territories, including 262 outlying islands. Between Hong Kong Island and the Kowloon Peninsula lies Victoria Harbour, one of the world’s most renowned deep-water harbours. One of the largest metropolitan areas in the Western hemisphere, Mexico City is famed for its Aztec architecture, colourful gastronomy and passionate locals. Steeped in history, the largest city in the Americas captivates all that visit. Tourists flock from far and wide, kept content by the balmy climate, and fascinating culture at every turn. Housing the most museums for any city in the world, in addition to 100 art galleries and 30 concert halls, Mexico City also boasts hotspots including the cobblestone streets of Centro Histórico, the city’s historic downtown area, and the amazing outdoor restaurants of Polanco. Surprising, cosmopolitan, energetic, sophisticated and worldly, Santiago is a city of syncopated cultural currents, madhouse parties, expansive museums and top-flight restaurants. Head out for the day to take in the museums, grand architecture and pedestrian malls of the Centro, before an afternoon in one of the gorgeous hillside parks that punctuate the city’s landscape. With a growing economy, renovated arts scene and plenty of eccentricity to spare, Santiago is an old-guard city on the cusp of a modern-day renaissance and a welcome addition to the calendar. The wonderfully exotic Moroccan city of Marrakesh offers so much, from reliable year-round temperatures and mouth-watering local cuisine to fascinating historic sites and other landmarks, from golf on six courses to treks in the Atlas. If you look carefully, you’ll also spot a number of creative new boutiques and galleries. They signify the evolving face of the medina as a new generation of craftsmen and artists try to connect the city’s hankering for modernity with its traditional craft heritage. Riyadh, meaning garden, is the Kingdom’s political, financial and administrative capital and one of the wealthiest cities in the world. With soaring, sparkling modern towers rising from the desert, the city can be seen from afar whilst the modern highways are driven by flash cars. Up close, Riyadh is cautious with its inhabitants living a conservative lifestyle, heavily rooted in Saudi traditions. Formula E makes its second return to Switzerland, this time to the capital city of Bern. A Unesco World Heritage listed Old Town, the city is built around a crook in the Aare River. It has a provincial, laid-back air with a cobbled city centre and 6km of covered shops and bars. Full of history and culture, the city has countless museums and galleries and the iconic red roofs of Bern can be seen from the surrounding hills.